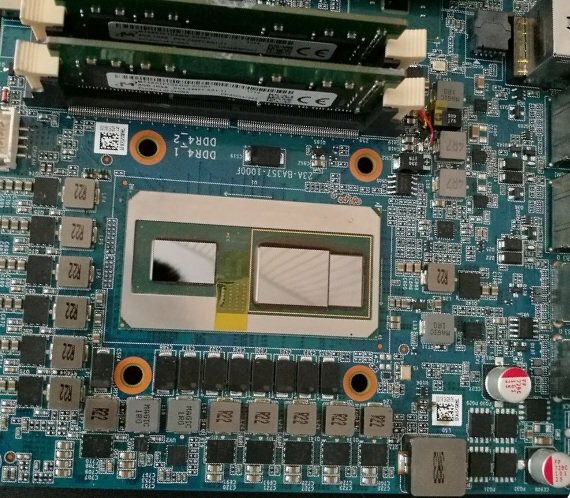 Today, we’re sharing initial details on a new product that does exactly that, reducing the usual silicon footprint to less than half that of standard discrete components on a motherboard. That’s more freedom for OEMs to be creative and deliver innovative thin and light designs with improved thermal dissipation. It also delivers space to add new features, create new board layouts, explore new cooling solutions or increase battery life. 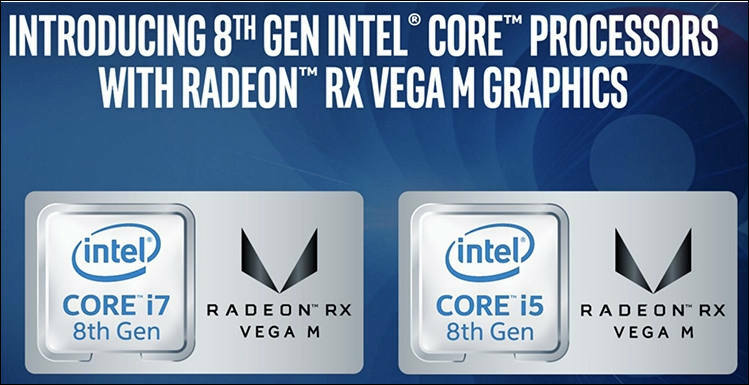 The new product, which will be part of our 8th Gen Intel Core family, brings together our high-performing Intel Core H-series processor, second generation High Bandwidth Memory (HBM2) and a custom-to-Intel third-party discrete graphics chip from AMD’s Radeon Technologies Group* – all in a single processor package. It’s a prime example of hardware and software innovations intersecting to create something amazing that fills a unique market gap. 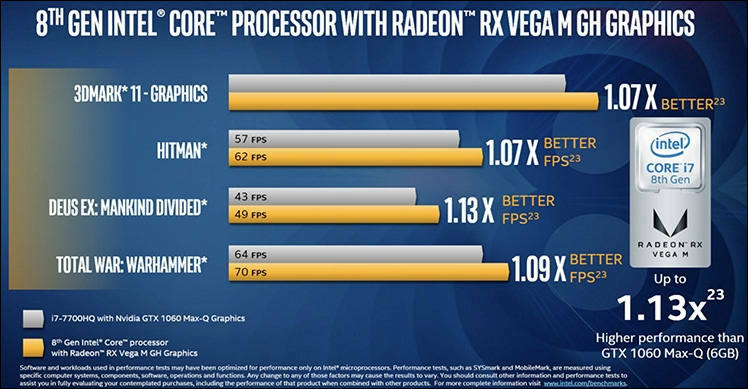 Helping to deliver on our vision for this new class of product, we worked with the team at AMD’s Radeon Technologies Group. 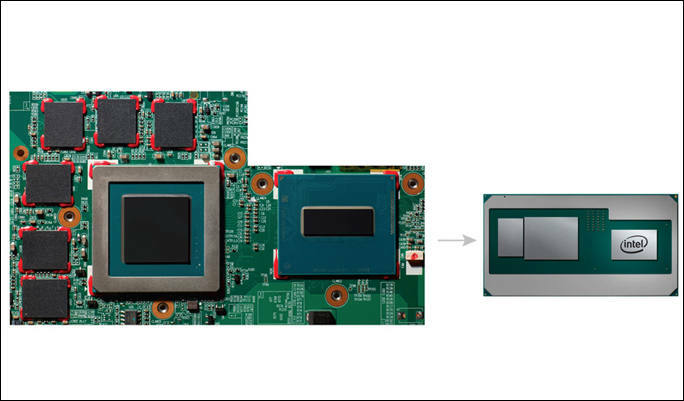 In close collaboration, we designed a new semi-custom graphics chip, which means this is also a great example of how we can compete and work together, ultimately delivering innovation that is good for consumers. Made for premium notes, mostly due to Apple requests. 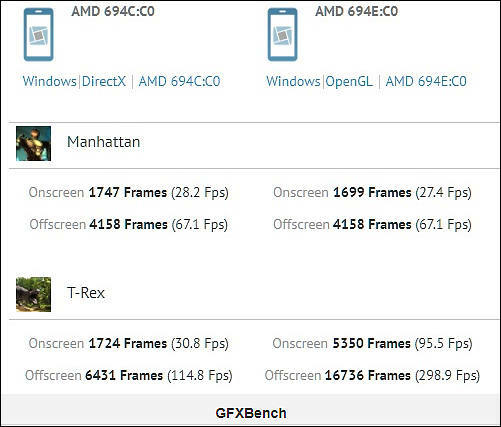 I haven't read the press release, but does this essentially usher in the era of Laptops with shared 16GB and 32GB HBM Memory for both system and video output? So, essentially, there would be no ability to upgrade these laptops memory? 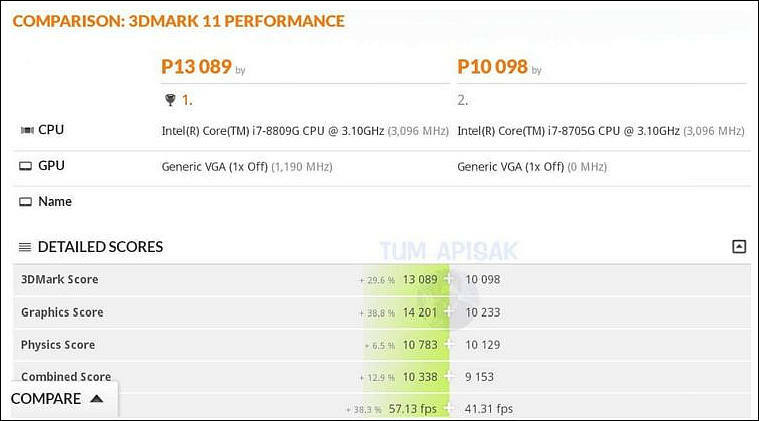 Core i7-8809G will have 3.3 TFLOPs of compute performance, which is about 40% of Xbox One X game console.